In a single step, this genuine beauty treatment for the feet nourishes, softens and deodorizes, for a long-lasting feeling of fresh wellbeing. Featuring a velvety formula that is pleasant to rub in, it contains Mint and Thyme essential oils with a refreshing, deodorizing effect. It is ideal for applying first thing in the morning for a feeling of fresh wellbeing, or in the evening for instant relief after a busy day. Frequent use prevents dryness and ensures that feet look wonderful, feel soft and smell great for extended periods. 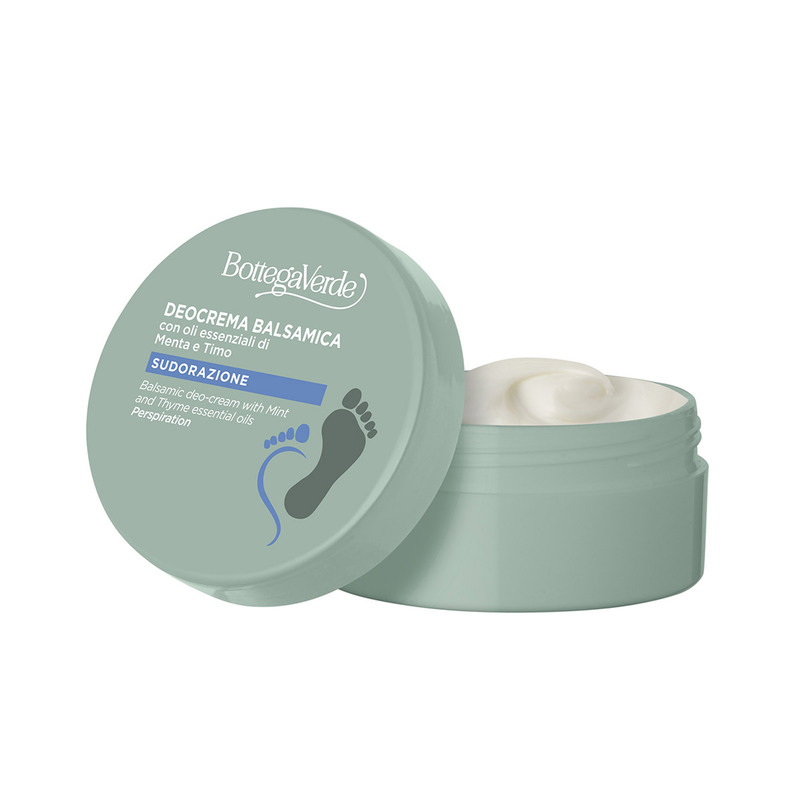 In a single step, this beauty treatment for the feet softens and deodorizes. It contains Mint and Thyme essential oils, which fill you with a sense of fresh wellbeing. Frequent use ensures that feet look wonderful, feel soft and smell great for extended periods. WARNING: Wash your hands after use. Direction for use:How to use it: clean your feet, then rub it in until it is fully absorbed. It is ideal for applying in the morning for a feeling of wellbeing, or in the evening for instant relief after a busy day. Scent:An aromatic, balsamic mint fragrance. Suggestions:It gives tired, weary feet a fresh sense of wellbeing. Characteristic:Cream enriched with camphor, menthol, and mint and thyme essential oils. 0% parabens, formaldehyde releasers and mineral oils.